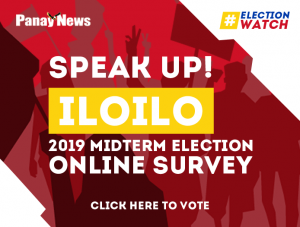 THE noise from two camps fighting to distribute power in Iloilo City is so loud we could barely hear the opinion of the most crucial sector – the consumers themselves. Yes, we want to hear from them. “A study revealed that the Philippines has the most expensive cost of electricity in the entire Asia. According to the International Energy Consultants, the average retail rate in the country is US$0.181/kWh in October 2010, more expensive than Japan’s US$0.179. “We have the most expensive electric cost because the cost of production and distribution are being passed to the consumers. Only the Philippines has a privatized power industry but without government subsidy. “What also makes the electricity expensive is that the consumers are being charged with high taxes, National Power Corporation’s loans and other expenses by distribution utilities through tax, system loss and universal charges. “The deregulation and privatization of the power industry has been proven to benefit only the private sector, raking multibillion profits from a supposed public utility. 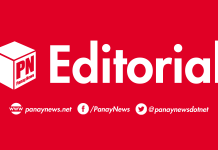 “The stalling of Panay Electric Company’s (PECO) franchise is an initial win for the Ilonggos, but this win may not last long if another private company takes over the power sector. “Thus, we call the Ilonggos and the Iloilo City Council to study the impact and effects of the Electric Power Industry Reform Act (EPIRA law) and privatization schemes happening all throughout the country and consider the pushing for a state-sponsored power industry. “We reiterate our call to oppose the renewal of PECO’S franchise for another 25 years and at the same time, we oppose the entry of More Power as a new player. 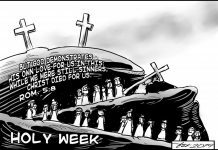 “We call on the Iloilo City Council to lobby the takeover by the government of the power industry and/or the cooperativization of the local power sector. “We demand the scrapping of Republic Act 9136 or the EPIRA Law which for many years has caused the suffering of the people. “For the immediate relief of our consumers, we demand the scrapping of taxes amounting to 10 percent of the electric bill. “We also call the scrapping of system loss (nine percent) and universal (15 percent) charges in the electric bill. All these could lessen the electricity cost by as much as 30 percent.